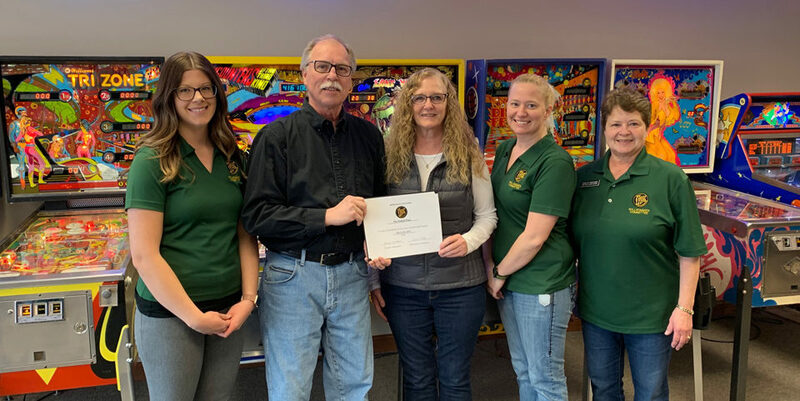 The Willkommen Committee of the New Ulm Area Chamber of Commerce stopped by to welcome and tour the Archery Trade Association’s (ATA) new location and the remodel that has been done. They moved from a small building on Valley Street, and are now located at 16 South Minnesota Street. There are multiple office spaces to use as well as a large multipurpose room that serves as a small kitchen and conference room. Archery Trade Association is the organization for manufacturers, retailers, distributors, sales representatives and others working in the archery and bow hunting industry. They are dedicated to making the industry profitable by decreasing business overhead, reducing taxes and government regulation, and increasing participation in archery and bowhunting. The ATA owns and operates the national ATA Trade Show every January. It is the archery and bowhunting industry’s largest and longest-running trade show worldwide! Congratulations and thank you for your chamber membership! 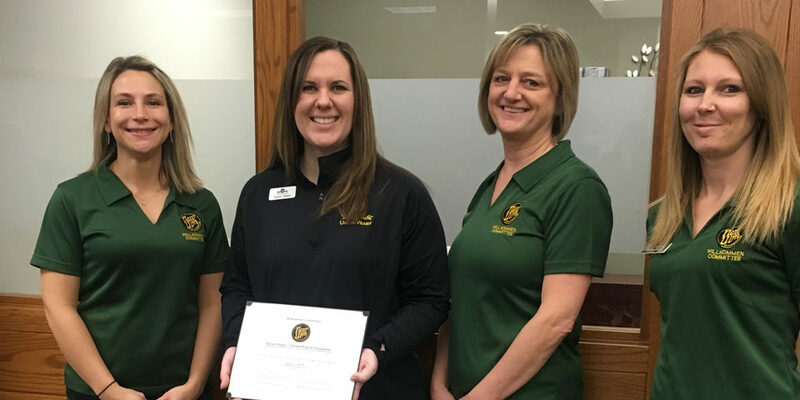 In the photo are: Randy Schroeder, Frandsen Bank & Trust; Wendy Lang, Maria Lewis, Taylor Sandmeyer, Archery Trade Association; and Ryan Domeier, Rooms & Rest Furniture.